Korean dry cleaners donate unclaimed stuff to homeless. Hey, you forgot about them anyway. And now, that lost suit, fur coat, pressed shirt is going to someone who really needs it. 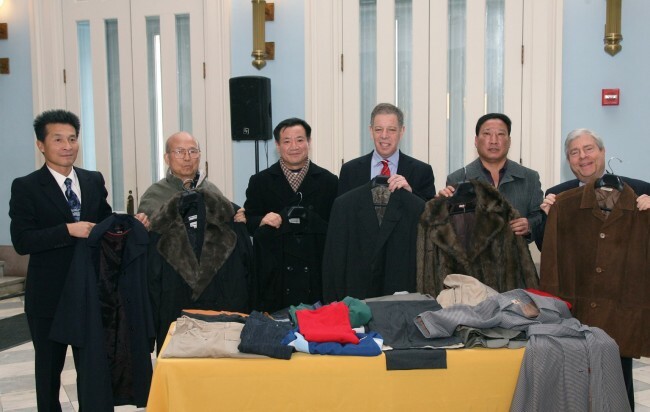 On Friday, Brooklyn Borough President Marty Markowitz partnered with the Korean Dry Cleaners Association of New York to donate unclaimed clothing to New York City’s Department of Homeless Services. The clothing will be distributed throughout Brooklyn and New York City to families and individuals in shelters, particularly to wear during employment searches.